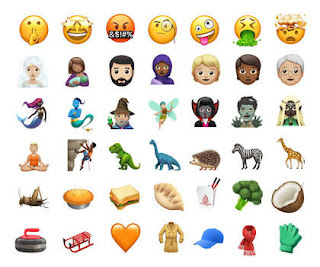 It's no longer news that iOS 11 brings hundreds of features to New iPhone and iPad including all new App Store, a more proactive and improvement to Camera and Photos, new 70 emojis and lot more on iPhone 11. Unfortunately, the new iOS 11 updates has removed the 3D Touch multitasking gesture option which was one of the most enjoyed iOS 11 features in the older version of iPhone. But with the help of the new emojis, this feature would be a callback. To bring back the multitasking gesture on your iPhone 11 (iOS 11) with the help of this emoji list includes emoji faces, Smiley face emoji and emotions emojis, follow the instructions below. Let's get started, to callback the multitasking gesture on new iPhone, you have to update your system to iOS 11.1. Note; Before you start the process of upgrading to iPhone 11, make sure that you are on WiFi for faster experience during the process. Now, go to Settings ==> under the Settings tap on General ==> Software Update once you see Download and Install button, tap on it for iOS 11.1 update to begin. When you successfully upgraded to iOS 11 aka iPhone 11, all the latest emojis should be waving 👋 at you!.